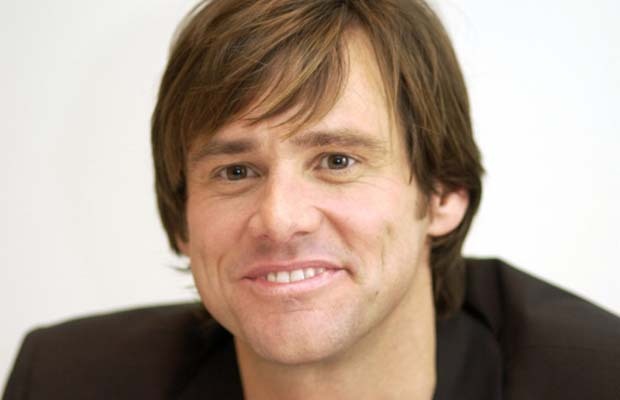 Jim Carrey is an America Canadian born actor and comedian, who first rose to fame for his energetic slapstick performances at the age of nineteen. With two Golden Globe accolades and numerous box office hits, Jim Carrey is widely regarded as the one of the biggest movie stars of Hollywood. Born to Kathleen and Percy Carrey, Jim is the youngest out of four siblings. He had a relatively troubled childhood due to the failing financial conditions of his family. He went undiagnosed for ADHD during his school years, which made studying for him an obstacle. Carrey never completed high school as he was unable to balance his studies during the day with work in the night and in order to support his family properly, dropped out at the age of sixteen. While silent as a child, Carrey showed promise. Despite support from his parents, he struggled as a standup comedian in Toronto. But with time, Carrey went from open-mic nights to regular paid shows and started making a name for himself. His first breakthrough came when he landed the lead role in Ace Ventura: Pet Detective (1994), making him an international star. This trend continued with lead roles in two more films in the same year, The Mask and Dumb and Dumber. Both films were released to critical acclaim and cemented Carrey. He continued this stint with returning for Ace Ventura: When Nature Calls, which was a critical box office success, earning a total of $212 million and breaking numerous records at the time. He soon followed with the Ben Stiller directed Cable Guy (1996), and Liar Liar (1997). However, it wasn’t until the satirical comedy-drama, The Truman Show (1998), that Carrey received international acclaim. A commercial success, earning $264 million against a budget of $60 million, The Truman Show established Carrey as the most prolific comedian in Hollywood. He continued working in films such as The Larry Sanders Show (1998) and portrayed comedian Andy Kaufman to universal acclaim in Man On The Moon (1999). In 2000, Jim Carrey reunited with the Farrelly Brothers and worked on Me, Myself & Irene (2000), released to mixed reviews. However, in the same year he starred in the highest grossing holiday film of all time, How the Grinch Stole Christmas (2000), playing the titular character. He followed with his lead role in Bruce Almighty (2003) in which he appeared opposite Jennifer Aniston and Morgan Freeman. Despite receiving mixed reviews, it became an international hit and has gained a cult following. He also starred in Eternal Sunshine of the Spotless Mind (2004), which again saw him receive praise for his acting, which was much more mature and focused than anything he had done before and saw him receive his fourth Golden Globe Award nomination, while also being nominated for his first BAFTA Award. He continued by starring in the fantasy film Lemony Snicket’s A Series of Unfortunate Events (2004), where his unique portrayal of the villain Count Olaf garnered him praise. The year 2004 ended with Carrey being inducted into the Canadian Walk of Fame. Jim Carrey continued to work in acting with the release of the movie The Number 23 (2007), however the film failed to do well at the box office. He rebounded by providing his voice for an animated movie for the first time in his life, Dr. Seuss’ Horton Hears a Who! (2008), which was a success and attracted massive family crowds. His success continued with the movies Yes Man! (2008) and I Love You Phillip Morris (2009), both of which were very well received. He again appeared in the Disney animated A Christmas Carol (2009), playing multiple characters. In recent years, Carrey has appeared in lead roles for the movies Mr. Popper’s Penguins (2011) and Burt Wonderstone (2013). Recently, he has appeared in Dumb and Dumber To (2014), a sequel to the 1994 hit.